An early 3 degree frost which made the grass white gave us a bad start for our first visit to Rook Hall for a number of weeks. Several perch to 3lb 3ozs were caught. Alan Wilson had the best fish prize. Our next match is Heybridge Basin on the 2nd October. Should be a good one. We will be increasing our £3 winning fund to £3.50 that is a 50p increase for a best fish prize which will add a bit of excitement to our home matches. Strong winds made presentation difficult, which made only 3 decent weights. Next week Rook Hall farm. Bring your weed rakes. Not a bad day but strong winds made presentation difficult. Not many bream showed on the day, which kept the weights down. A superb day with tench and plenty of quality roach. Next match 11th September 2018 A12 Cuton match lake. Very little flow a few boats. Another good day with some exceptional quality roach being caught. A tench and bream were also netted. Next match A12 Cuton lake. An excellent day with good weights. A full house, no blanks, an average of 2lb 8ozs per man. Excellent result considering the river was 100 per cent covered in duck weed. Mainly roach and the best fish was a roach of 13ozs 8dms. Next match 7th August is an away match at Oakford fishery top lake. There was 2 did not weighs. Excellent and no fish died in the nets. Next week’s match is at Boreham Black Bridge. Superb day, we weighed in half way through match and then when we finished. There was one did not weigh. Very good results considering no flow and very clear. 24th July match will be at Heybridge Basin instead of Rook Hall. Slough West weights. Heron Hall weights. Winning pair Graham Shirmer and Roger Smith 68lbs 2ozs. Strong winds made presentation difficult but a good result. The winner of the 1st round of points was Keith Leverett. The river was crystal clear with virtually no flow. I will clear a few more swims upstream before the next match. The day was not too bad but rather cold which gave up some bad weights . 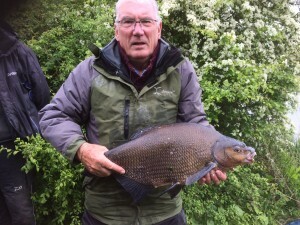 Bert Savage had 1 fish a 6lb tench. 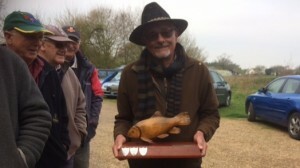 The winner Bob Pallett had 6 tench only for his win. There were 3 did not weighs and 1 guest. There were 7 did not weighs. All the big weights where mostly tench the best one was 5lb 14ozs. The carp were spawning like mad. Les Drury had the Golden Peg. 2nd Rob Rowbotham peg 4 5lbs 4ozs 29pts. We had 2 new concessionaries join us: 1 from Billericay and 1 from Does. A good first away match of our season, considering the high temperatures. There were 4 did not weighs. 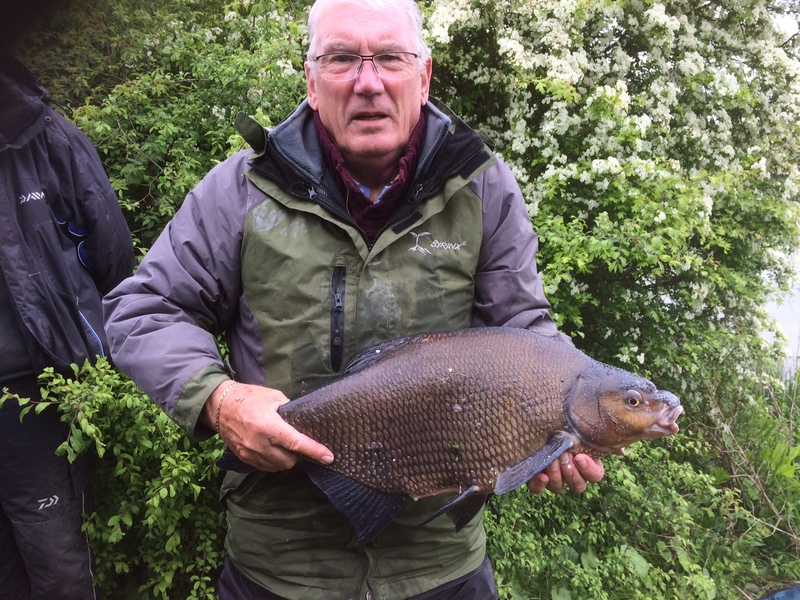 The majority of fish caught were tench up to 5lbs plus a carp of 10lbs and a perch of 1lb 8ozs. No silver fish were caught.. There were 2 did not weighs. A very hard day, everyone blanked. 2 Carp and 2 roach caught. Everyone weighed on an enjoyable day. Well done Brian the Golden Peg winner. Total Weight 6lb 11oz 8dr. Match moved from a frozen Bog Grove. There were nine did not weighs. Next match London Reservoir is our Christmas table match. Not a bad result considering the weather. There were 3 did not weighs. A very good day for us considering the change in weather. There were 11 did not weighs. There was 1 did not weigh. Poor weights for the venue . Strong winds made presentation difficult. The last match at Rook Hall this year was successful. A good number of tench were caught. The winner was Les Drury who also had the golden peg No.24. He also won the second round of the points trophy with 134 points, 2nd was Rob Rowbotham with 111points, 3rd Graham Shirmer with 103pts, 4th Keith Leverett with 101pts. A very reasonable day everyone happy. 8 and 12mm pellets for hookers with 2 and 4mm for feed. A good result getting back to 30 year old results. John Christensen had a 1lb Roach. The reservoir was the lowest that I have seen it. Not a bad day everybody caught. Brian Webber took trophy and the Golden Peg. That’s 51lbs 8ozs average per man what a day. This was the best result at Black Bridge for 5 years. There was also 4 chub caught. 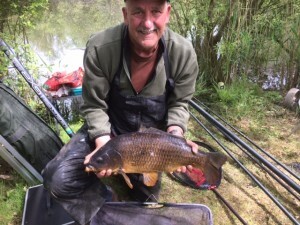 Bert Savage lost a quality carp as it swam of it pulled the rod out of his hand. So if anybody hooks it you know who it belonged to. A real change in the weather certainly put the big fish down. 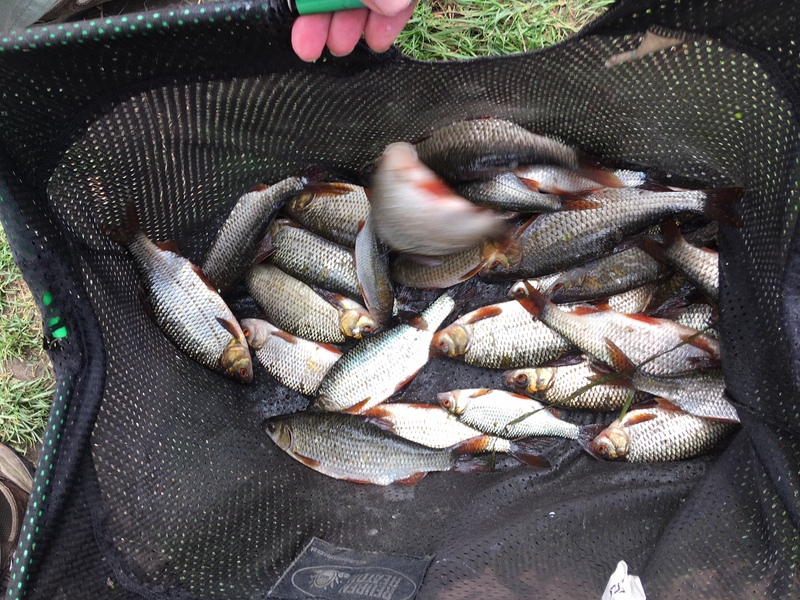 The 8 to the 1lb roach filled the nets. 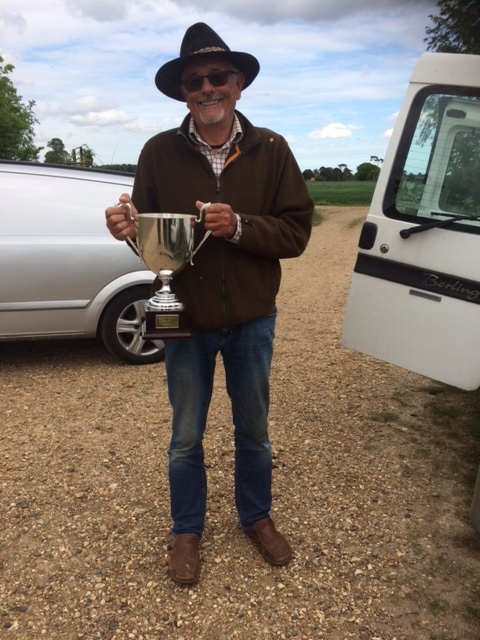 Graham Shirmer won the Snr citizen trophy. John Christensen won the first round points trophy. The weather conditions were diabolical with 40mph winds and heavy rain. There was 1 did not weigh. Very few tench caught considering reasonable weather. Allan Knight first put out with his pole and sweetcorn baited hook had a fine carp of 10lbs 15ozs. There were 5 did not weighs they each receive 1 point each. There was one did not weigh in. This was a very good start for our new season. There were 4 did not weighs they each received 1 point. Richard Seabright caught a tench of 4lbs 7ozs. A strong north wind and freezing temperature gave a poor start to the day. The newly named concessionary trophy was won for the third time by Richard Seabright he also had best fish a rudd of 1lb 2ozs 8dms. There were bream up to 2lbs caught and some quality roach and rudd. Very cold day was had by a few some were in “T” shirts in the sun. There were 4 did not weighs. A temperature drop of nearly 10 degrees in 24 hours was too much of a drop for a tench day. There were 7 who did not weigh in.